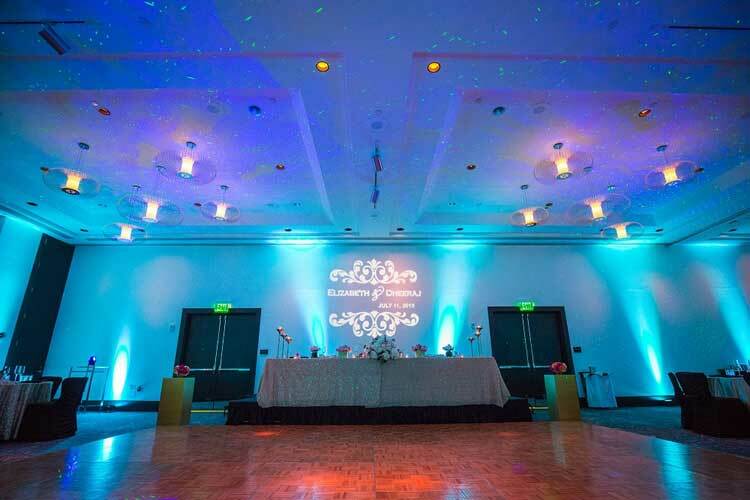 Set the mood on the dance floor with a party spotlight! 2. Set on a table or DJ booth. 3. Push button to choose colors. You're done! 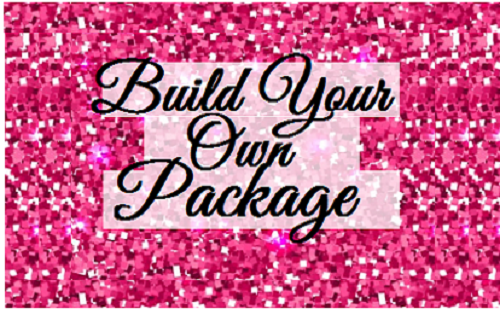 Do-it-yourself party spotlight packages are quick & easy to setup in a matter of minutes. The party spotlight package comes with everything you need - all you do is plug it in. 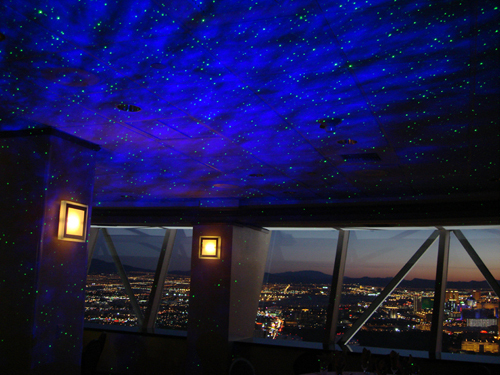 Use a remote to program light shows or choose different colors and patterns for the party spotlight. Delivery guaranteed at least two days before event date. After event, put rental items back in same box with pre-paid return shipping label provided. Return package to FedEx two days after your event, or schedule a free FedEx pickup. 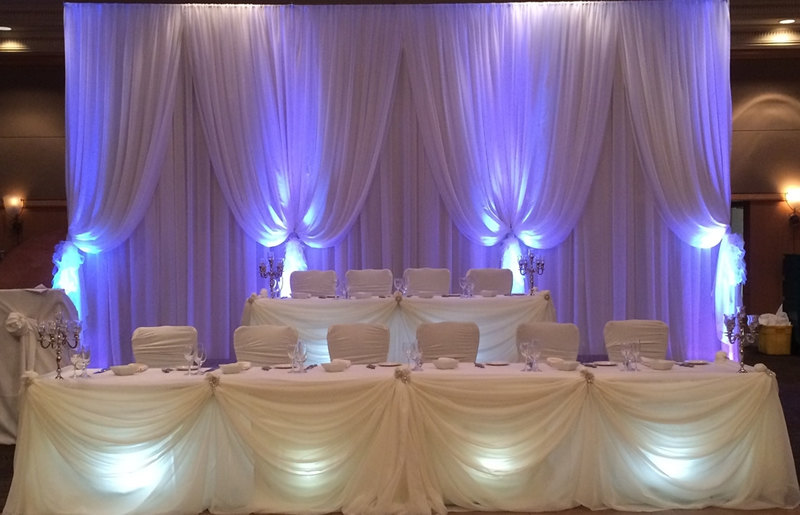 Party spotlight rentals are guaranteed to arrive at least two days prior to your event date. 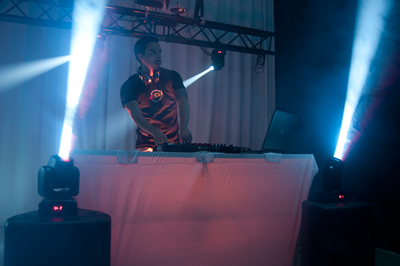 Party spotlight rentals are guaranteed to arrive in perfect working condition. 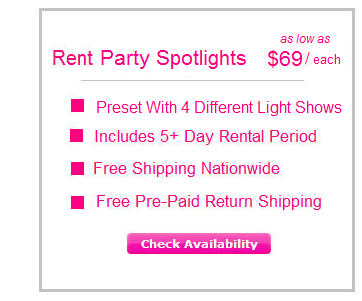 Prices for party spotlight rentals are all-inclusive. No hidden fees. 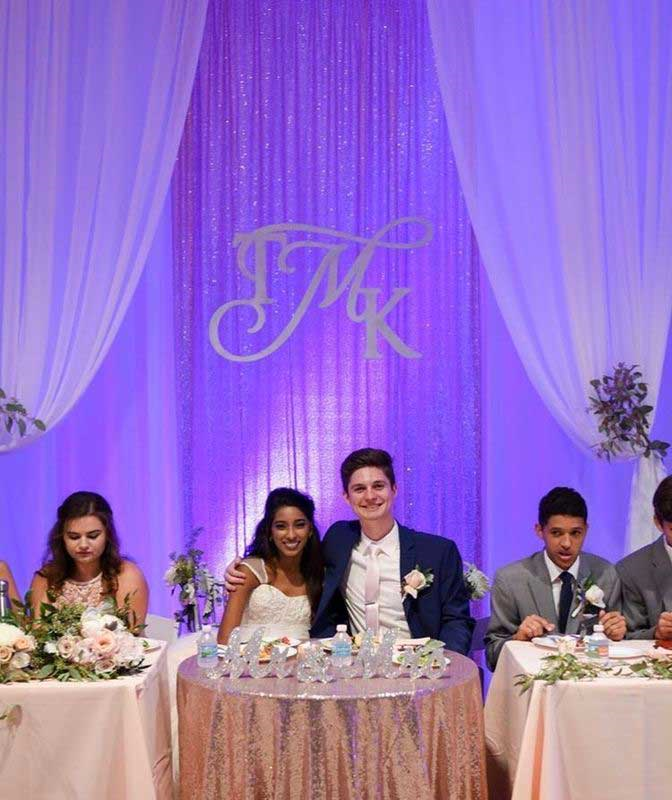 Click HERE to read more about our 100% customer satisfaction guarantee for our party spotlight rentals. 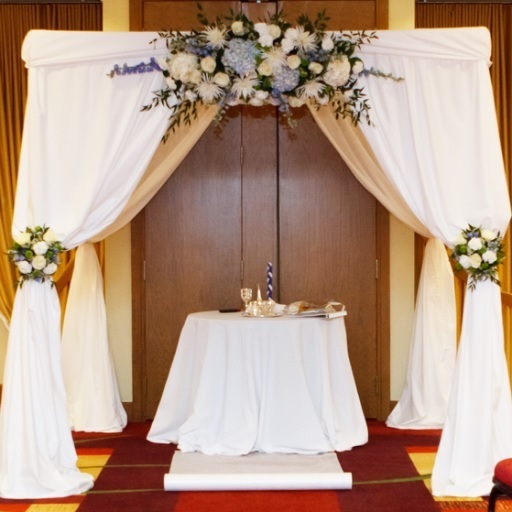 Or Click HERE to read our 450+ reviews on WeddingWire for party spotlight rentals. 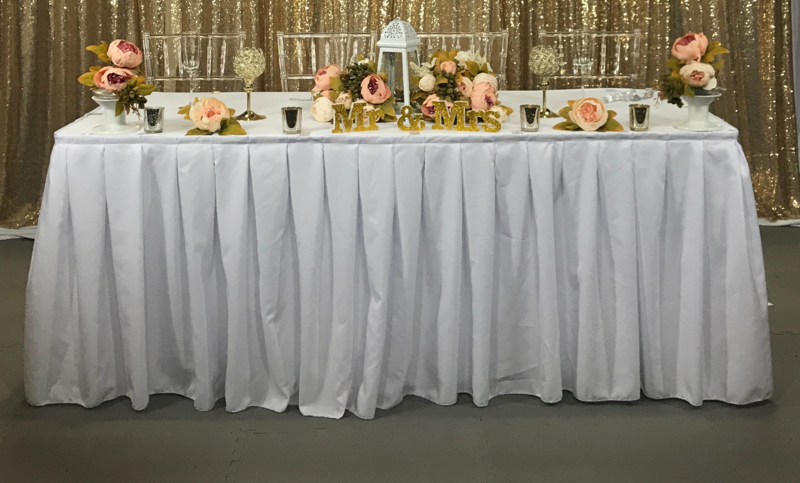 Below are videos and quick reference guides for everything you need to know about DIY party spotlight rentals. 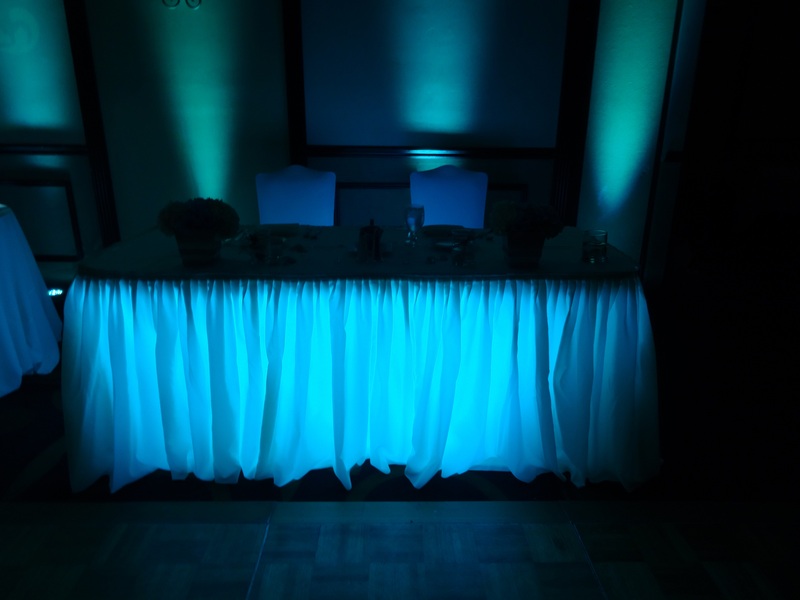 The party spotlight can be easily set up by placing it on a table or DJ booth. 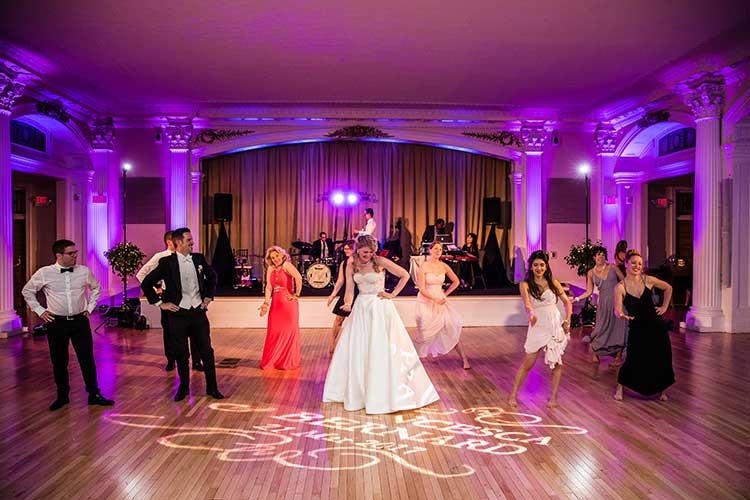 The spotlight can be programmed to spin around and point up towards the ceiling to add energy to the dance floor (without blinding your guests!). 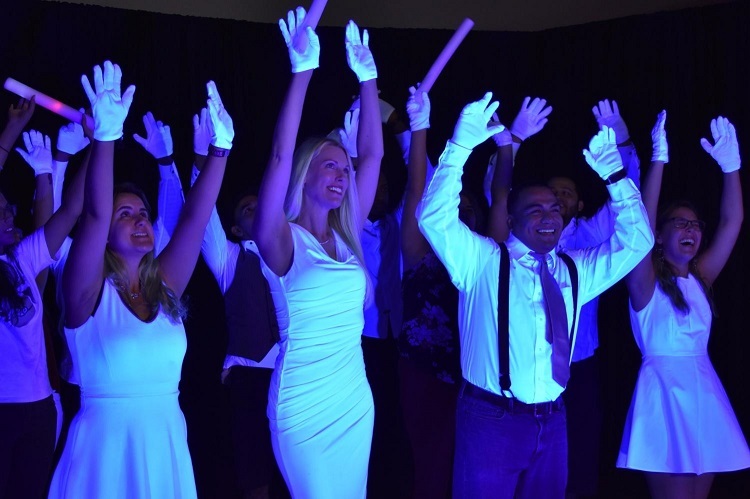 If you are interested in having the light shine down onto the dance floor, we recommend working with your DJ to clamp the party spotlight up to the DJ's equipment stand. 2. Set on a table. 3. Use remote to choose colors and settings. Prices include everything you need plus free shipping both ways. 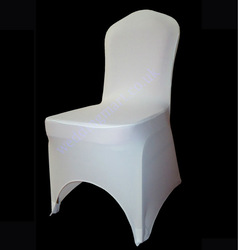 This product comes in an elegant white design, making it a perfect choice for weddings. Click the button at the top of this page to begin your order and Check Availability . 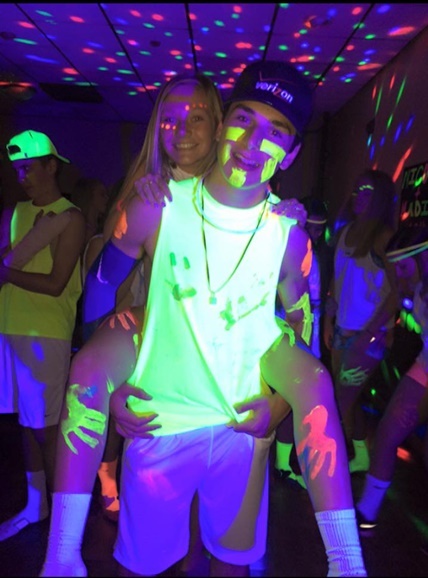 The party spotlight will be delivered at least two days prior to your event. 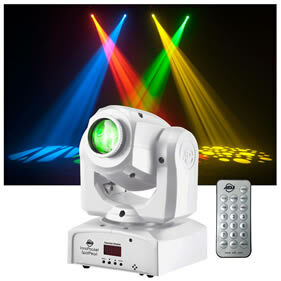 The party spotlight uses LED technology, which means that there is very low power consumption. 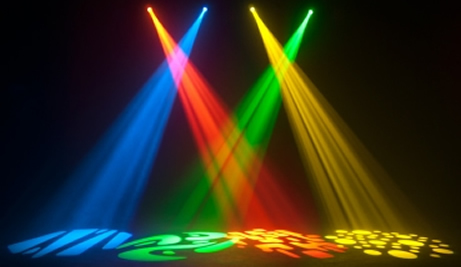 The following color options are available by pushing a button on the party spotlight: Pink, White, Red, Yellow, Green, Blue, Light Blue, and Orange. 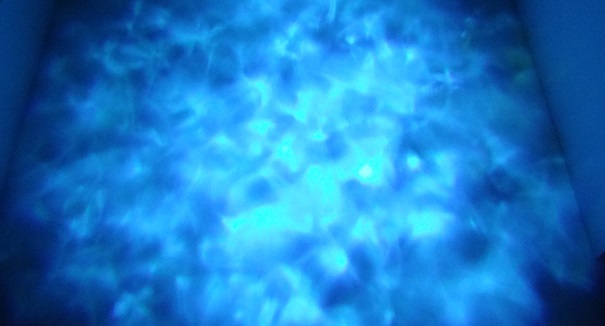 The spotlight can be set to solid colors, or 7 different patterns. 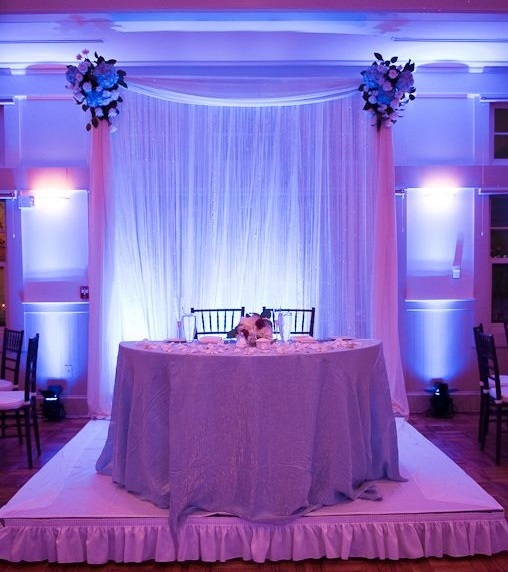 A party spotlight is a lighting fixture that creates a beam of light. 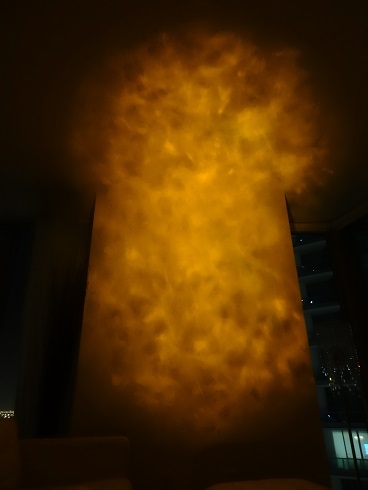 The beam of light can be set to stay in one place or move at different speeds and directions. 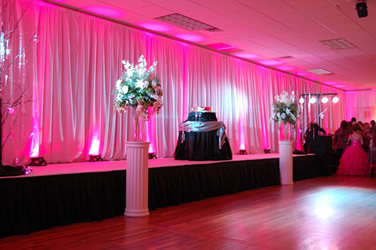 The party spotlight can produce a solid beam of light or patterns. Where can a Party Spotlight be used? 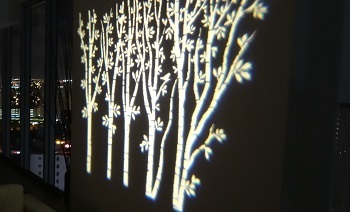 The party spotlight can be used indoors or outdoors (as long as it is not exposed to rain or water). For best results, use the party spotlight in a dark room . The darker the room, the more vibrant and visible the colors. 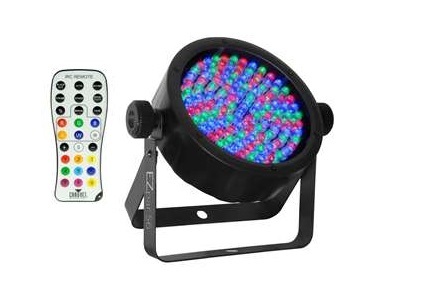 How many Party Spotlights do I need? 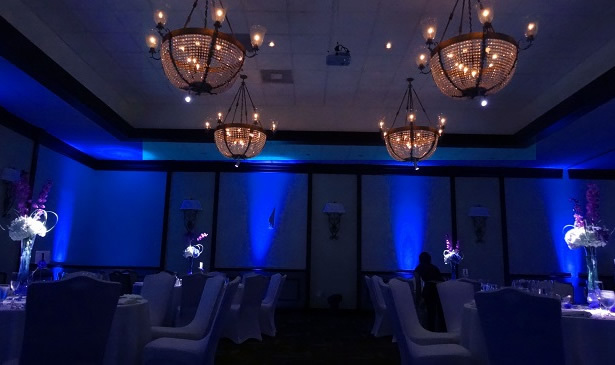 Most of our clients use 1 or 2 party spotlights. 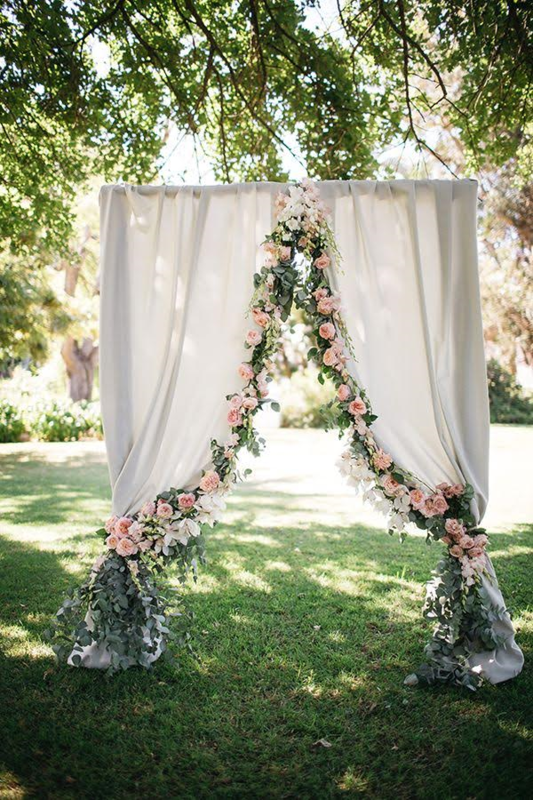 This will add energy to the dance floor for a wedding or event. 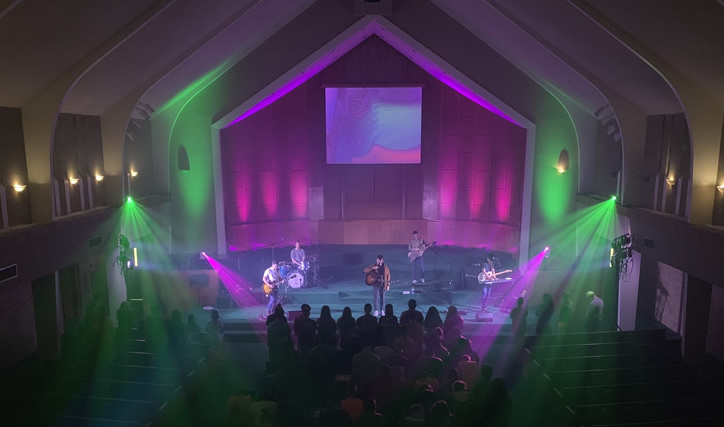 If you are planning to use the party spotlights for a larger event, club, etc., please contact us for assistance in estimating the quantity of party spotlights needed. Where do I put the Party Spotlight? 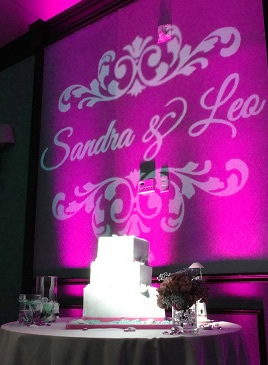 We recommend placing the party spotlight on a table near the dance floor, or at the DJ booth. How big is the Party Spotlight? The party spotlight measures 5.75" wide x 10.5" tall x 6.25" long. It weighs about 7 pounds. 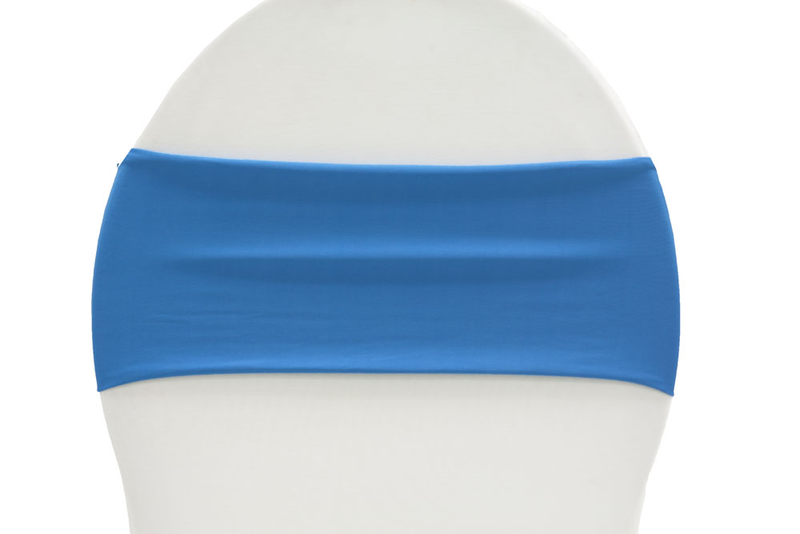 Enjoy FREE shipping both ways on all chair cover rentals within continental U.S. Delivery is guaranteed at least two days before your event date. We guarantee packages will arrive on-time, with all rentals in perfect condition. Return rentals to any FedEx location two days after event date. Use same box and pre-paid FedEx label provided for return. No late fees as long as you call to make arrangements if you are unable to return your items on time. Flexble payment options - pay 25% now and balance later. No hidden costs or fine print - all rental prices include everything you need. No security deposit. No late fees as long as you call to make arrangements if you are unable to return your items on time . Cancel anytime before you package ships for a full refund. Full refund will be issued within 1 business day of cancellation . 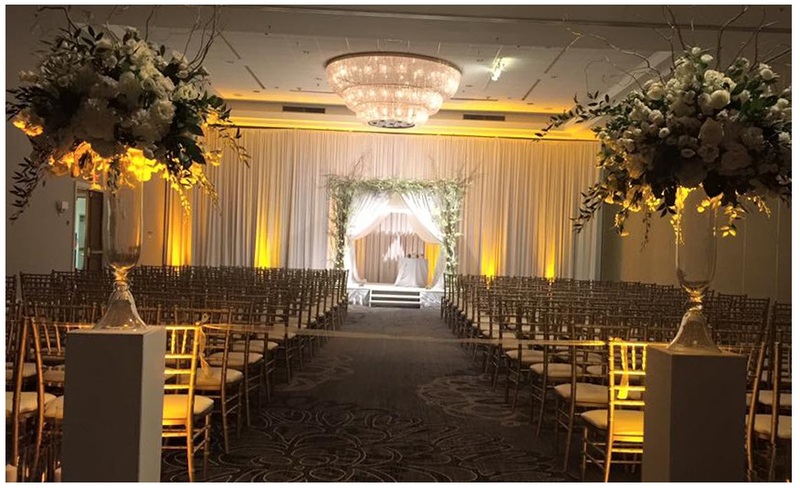 We recommend reserving your starry night lighting rentals 30 - 60 days prior to your wedding to ensure availability. We will automatically schedule your package for delivery at least two days prior to your event date. Many clients book further out so that there is one less thing to worry about later. However, we can also typically accommodate rush orders as well - just give us a call and we would be happy to help.